The El Grande Sapo is 4" soft plastic buzz toad. The Sapo has outward turned feet which create a wonderful gurgle and bubble trail on retrieve. The Sapo also has an added hook slot for a weedless presentation. We have had success with this Sapo in the expected topwater presentation. 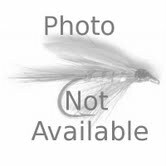 We have also found that it is a great jig trailer or fished on a Texas Rig. We recommend a 4/0 or 5/0 wide gapped hook for most techniques.